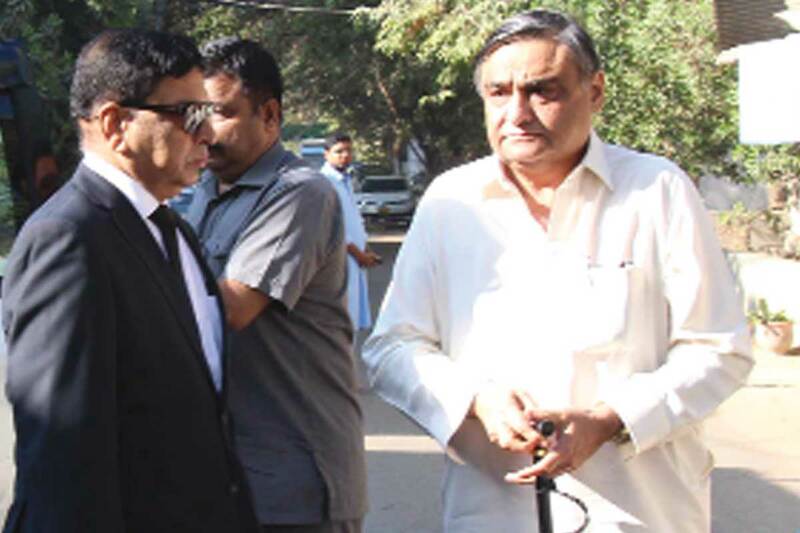 KARACHI: Former petroleum minister and leader of PPP Dr Asim Hussain has been granted permission by the Accountability Court-IV to leave the country from November 27 to December 20 for his treatment abroad. Dr Asim and others appeared before the court yesterday in NAB reference No. 19/2016 of the Jamshoro Joint Venture Limited case (JJVL). During the hearing, two prosecution witnesses, Muhammad Taj and Muhammad Saeed Rizwan, were called by the court. Their statements were recorded before the court, while defence counsels would cross the witnesses on next date. The court fixed 29th November as next date for hearing. Earlier, Dr Asim stated that he has a medical appointment in London and requested the court for permission to travel abroad. He has been receiving treatment in London for many months.